We've done it! 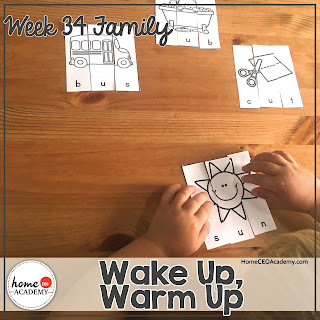 We have made it to week 36 of our full year preschool curriculum for 2 and 3 year olds. 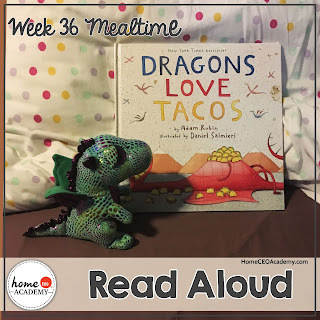 Keep scrolling to see highlights of our last themed week- mealtime! Maybe I'm getting old, but I totally forgot about the last 3 verses of this song! The kids and I laughed while we sang it and then drew pictures for each verse. Did you know that almost all of our activities are available to print in black and white and color? 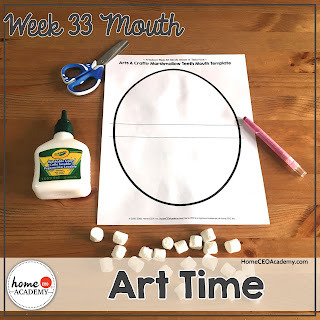 Grab those pencil crayons and have fun! Time to go shopping! 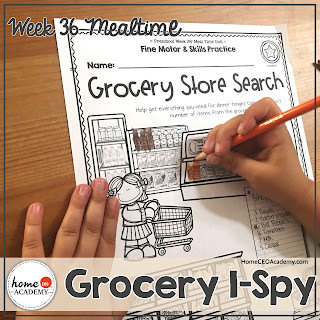 Find all the items on the grocery list and color them in! Roar! I'm pretty sure my kids might be part dragon, because they love tacos but do not love spicy salsa! Table 6 is ready! 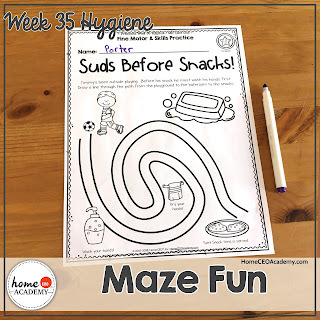 I guarantee your kids will love this gross motor game! 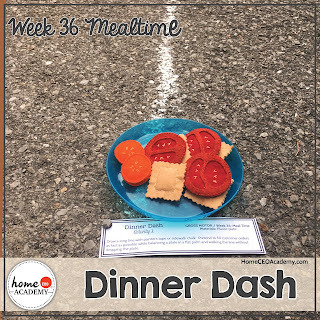 They will love filling and balancing a plate of food and racing down a line. 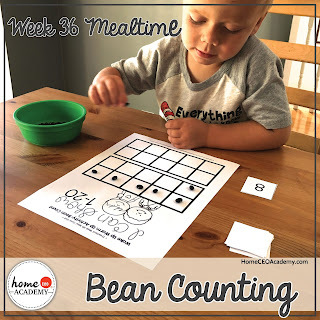 Porter worked on his 1:1 correspondence with this bean counting wake up, warm up activity. Ice cream time! 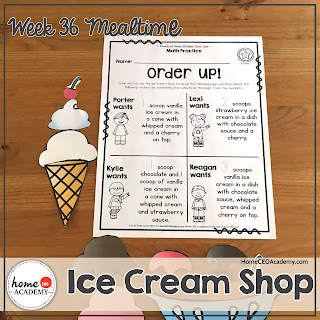 Practice your scooping skills by filling these ice cream orders. 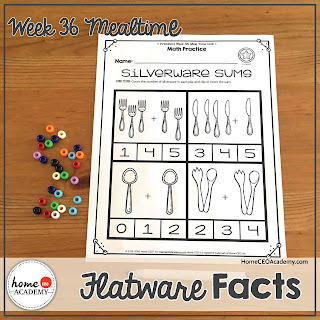 I had to explain to the kids what a spork is with this worksheet. The look in their eyes was that of pure amazement! You might have thought I had just explained to them what Willy Wonka's everlasting gobstopper was, but no, it was a spoon/form hybrid! We usually have pizza on Friday nights at our house. When Porter grabbed this worksheet on Monday morning, I made the executive decision to change our menu around! Well that's it! Porter and I finished our 46 week (36 core units and 10 seasonal units) preschool homeschool curriculum for 2 and 3 years olds. I have loved being able to have him home over the last year and watching him grow! If you would like more information about either of our curriculum packages, please feel free to email me or check out our website. 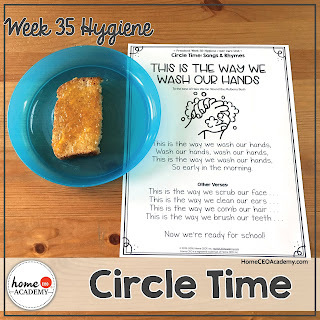 Week 35 of our 46 week preschool homeschool curriculum from 2-3 year olds focuses on hygiene and self care. 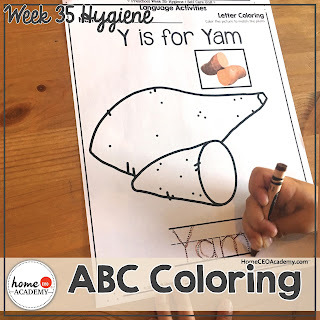 Your little ones will learn about the importance of handwashing, gain fluency in counting to 20, and practice handwriting with our ABC coloring pages! I like to do our circle time song at during breakfast each morning. This week's song was a perfect fit! 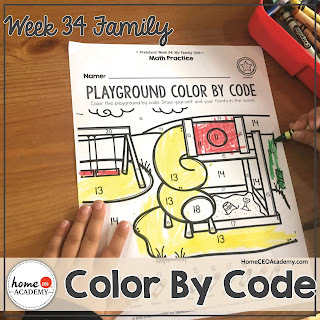 We love any kind of color by code activities in this house! 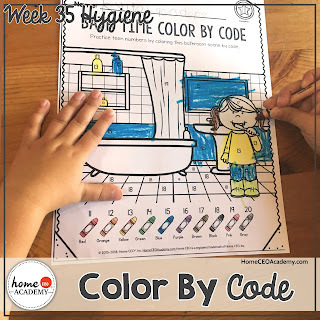 After your little one is done coloring, ask them what is similar and different in this picture compared to your own bathroom. Do you have tiles in your bathroom? Do you have a claw foot tub? 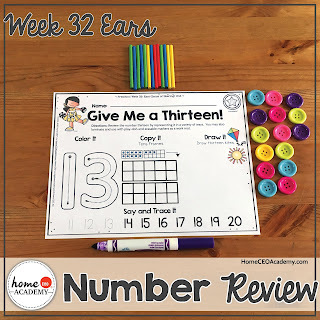 Speaking of bathtubs, your little one will love counting and comparing amounts of bubbles with this math worksheet. 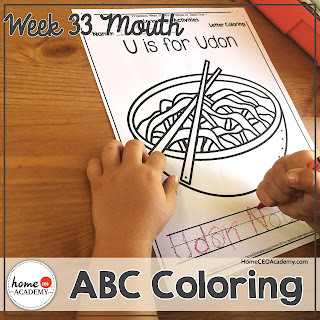 Our ABC coloring pages are a great way to practice handwriting and get your little one's creative juices flowing! We offer photo realistic images to copy or just clip art so your little one can decide for themselves how to color it! Hygiene and self care is not just about washing hands and brushing teeth, its about keeping a tidy house so you don't have any accidents! 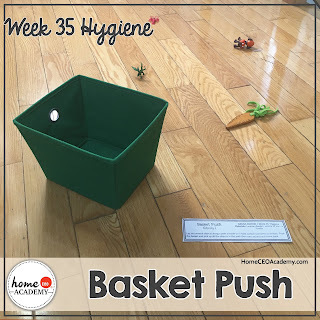 Take out a laundry basket and stop watch and see how fast your little one can clean up their toys. I'm not quite sure how Porter's fascination ducks began. Maybe it was my Dad's decoy carvings. Maybe it was from watching Sesame Street. 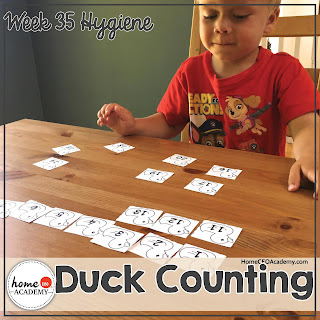 Either way, this little boy loves ducks and had lots of fun practicing counting to 20 with this rubber ducky activity. "Lunch time Chickaletta!" Porter said as he drew 19 pieces of corn on this number review worksheet. After playing outside, you need to wash your hands before you eat! 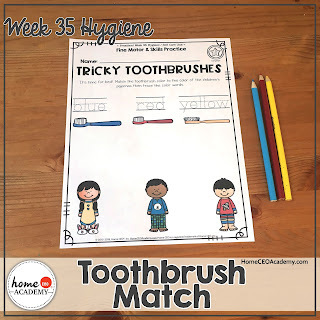 Trace the words and then match the toothbrushes to the child in the same colored pajamas! 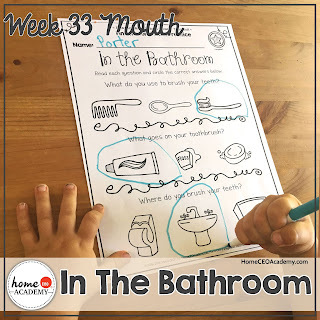 Porter and I had a great time learning about how to take care of our bodies with this week's lesson. Go to our website to learn more about our full year preschool programs or feel free to email me if you have any specific questions. I'm here for you! Families come in all shapes and size, and in week 34 of our full year preschool program for 2-3 year olds, we celebrated that! 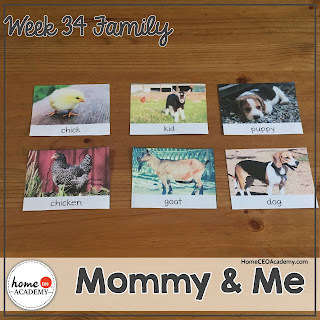 We started out family unit out with a little Mommy and me matching activity! 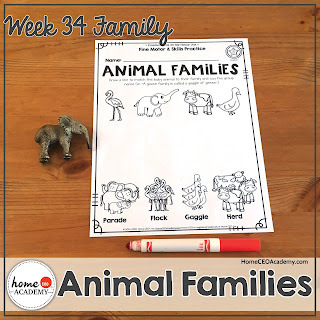 That flowed nicely into this animal family worksheet. 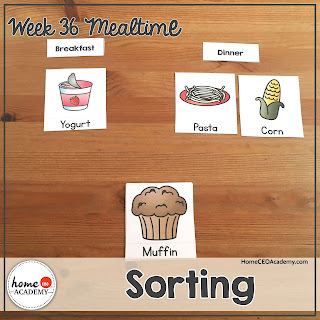 I honestly had a great time researching for this worksheet! Did you know that a group of alligators are called a congregation? Did you know a group of frogs is called an army? How cool! One of our favourite family activities is going to the playground. If we were to set up a tent, I swear my kids would live there! Porter has shown no interest in the directed drawing activities for a few weeks. That's ok though. His big sister loves them! Are you going on a trip this summer? 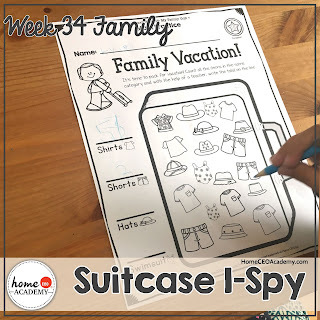 Get your kiddo in the packing mood with this i-spy! We LOVE families walks! 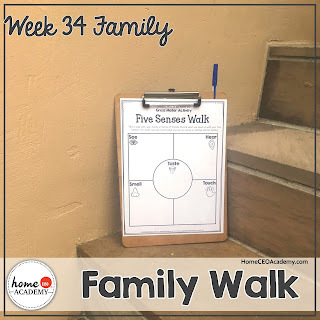 Get your shoes on, grab a clip board, and explore with this five sense family walk activity from our gross motor section. What did we see? Construction vehicles :( What did we hear? Construction vehicles :( What did we smell? Pizza! What did we touch? Soft mulberries. 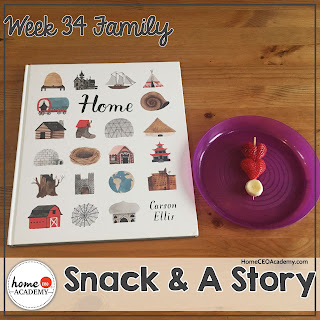 What did we taste? Mulberries when we got home! Families are different, but the one thing they all have in common is love. 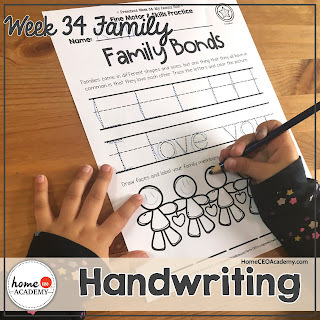 We listened to The Beatles "All You Need Is Love" while doing this handwriting exercise. This is our second copy of "Home" by Carson Ellis because we accidentally left our first in a hotel in San Fransisco during our cross country move a few summers ago. If you only buy one book from our recommended reading list, please have it be this one. The illustrations are simply amazing and the story is wonderful! During one of our wake up, warm up periods this week, we looked at these cards and asked if loves does... Does love argue? Does love help? Does love share? 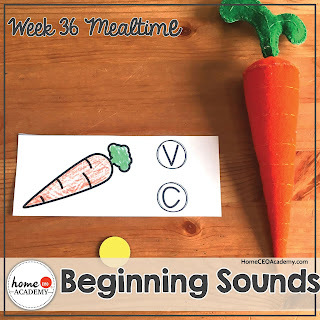 We introduced some CVC words this week! 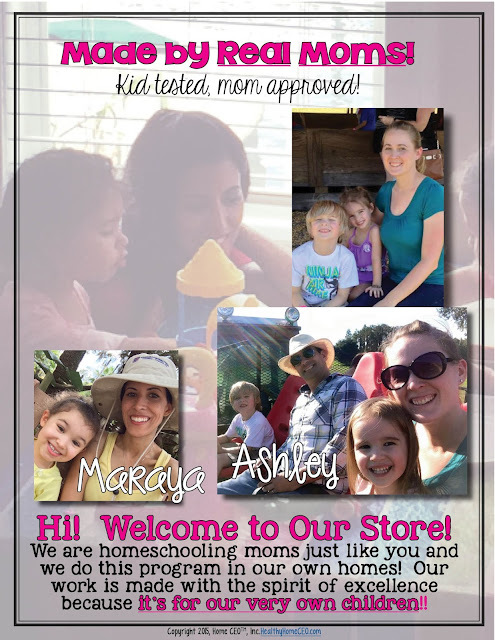 Porter and I may be finishing our homeschooling journey for the year in a few weeks, but now is a great time to start yours! Go to our website to find more information on our full year programs for 2-3 year olds. 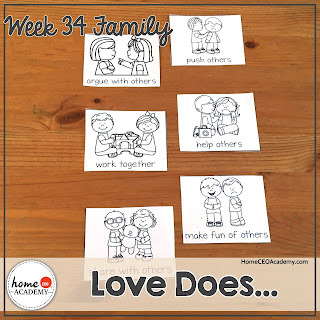 I can't believe we have made it to week 33 of our totschool curriculum! Only 3 more weeks and my little man will be preschool bound! 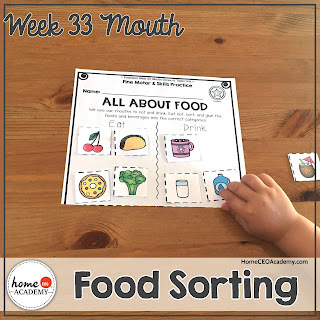 Scroll down and see some highlights from our Mouth and Sense of Taste Unit. We have some new art work in the bathroom thanks to our circle time song this week! 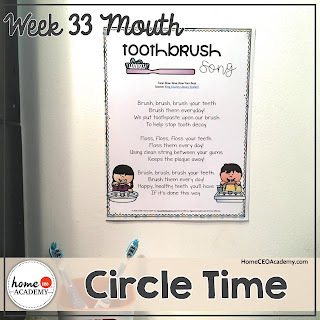 I thought these worksheets were perfect to follow our tooth brushing circle time song. 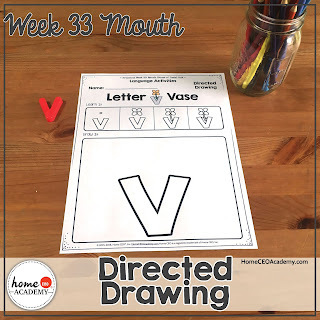 If your little one has mastered line tracing, offer a pair of scissors as an extension activity! 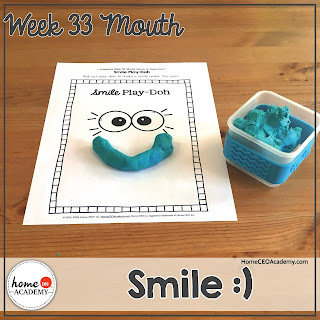 The pollen was out of control this week, so we spent a good amount of time inside :/ Our play-doh mats this week kept us extra busy! 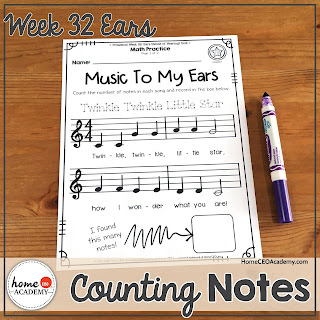 Do you play music during your little one's school time? I'm a sucker for a themed songs and playlists to help reinforce the weeks themes. This week, I introduced Porter to Weird Al. We listened to "Eat It" on repeat and he loved it! 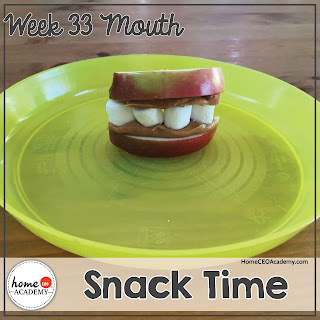 Speaking of eating, we had apple mouths for our special snack this week! 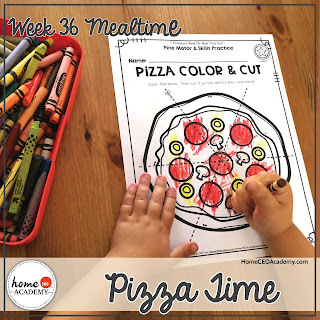 Did you know that almost every activity in our lessons comes available to print in black and white or color? Get out your crayons folks and have some fun! Porter was THRILLED (and let's be honest, I was too) this week to have marshmallows on 2 separate occasions! 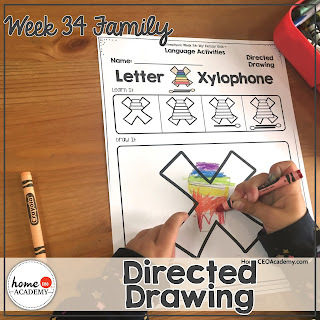 Kylie has been drawing flowers on any available piece of scrap paper recently, so Porter was excited to have a chance to make his own with this directed drawing activity! The coconut through Porter for a bit of a loop with this eat and drink food sort. He loves coconut sprinkled on his yogurt in the morning! I asked to give the card another look and then he noticed the straw and put it in the correct column. "U is for udon. It goes in your mouth!" said Porter when I placed this on the table. Porter and I may be wrapping up our totschooling adventure, but now is a great time to start yours! Please feel free to email me or check out our website for more information on our full year curriculum. 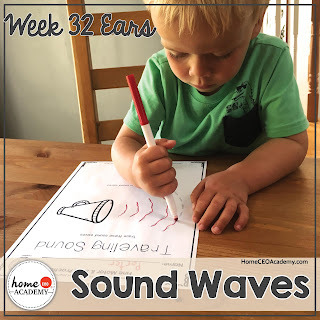 Week 32 of our totschool curriculum is all about ears! Scroll down to see some highlights from our week. 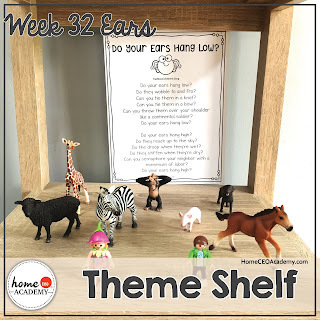 Our theme shelf this week displayed animals and people with different shaped and sized ears. 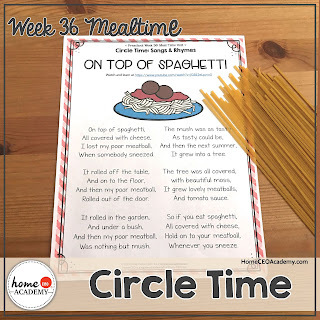 I also added one of our circle time songs for the week to the display. 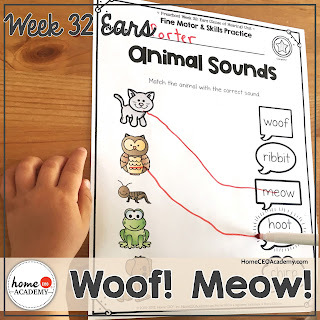 Animal sounds matching! I didn't even have to give Porter instructions on this one! 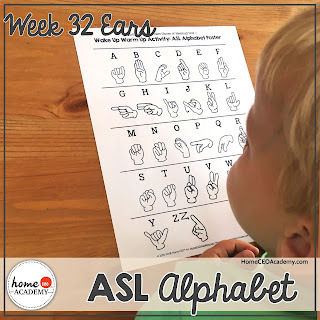 I was blown away by how fast Porter picked up the ASL alphabet with this wake up, warm up activity! 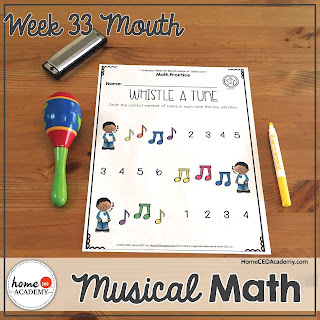 A little math and a lot of singing makes for a very happy mommy and son! Does anyone have an old device they are keeping for one of those "Back when I was your age, this is what ___ looked like." moments? I have my second generation Ipod and this Iphone 4 just for that occasion. Porter used it to practice typing my phone number. I don't know if Porter has triskaidekaphobia (superstition of the number 13), but he always skips 13 when he is counting. Kylie did is with 8 for the longest time too! Kids, am I right?!?! 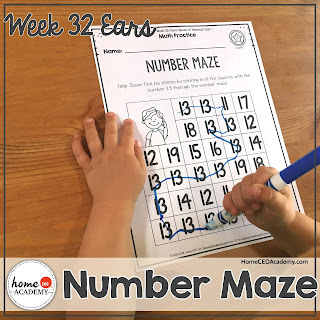 This week's math activities were a review of what number actually comes after 14. 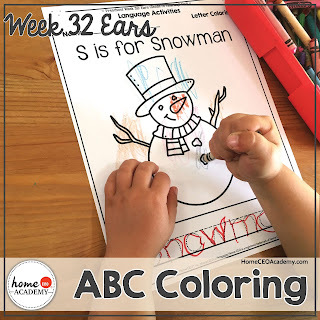 "Oh Mommy, I can't wait to build a real snowman," said Porter when I brought this letter coloring page out. We have only been snow free for 2 months! Enjoy the summer while we can buddy! The kids have been obsessed with "feeling" the music since we bought new speakers for our record player. This worksheet opened up a nice conversation about how we can both hear and feel songs. 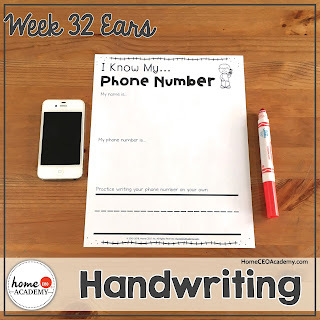 I hope you enjoyed a peek into our little kitchen table homeschool area while we learned about ears and our sense of hearing. Please visit our website if you would like more information on either of our full year curriculum pages.